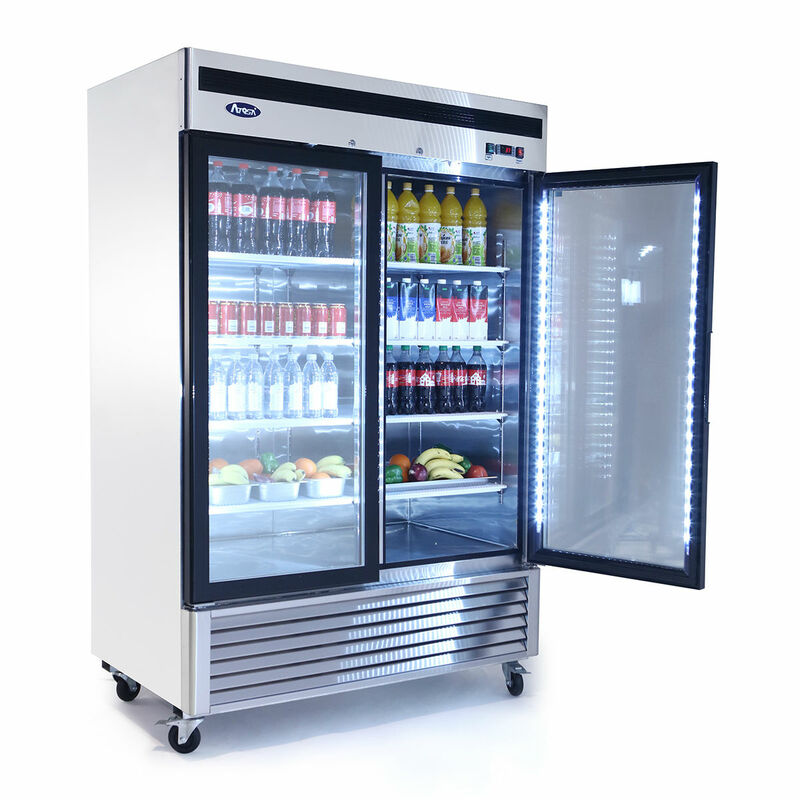 The Atosa MCF8707 Glass Door Refrigerator Merchandiser is a two-section refrigerator with 2 locking hinged glass doors and 47.1 cubic feet capacity. 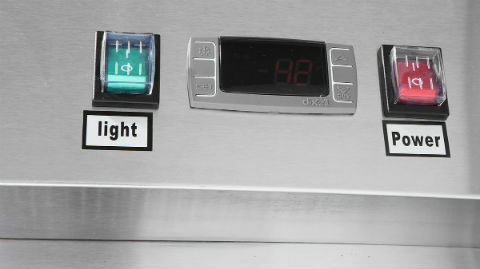 Features Dixell digital temperature control system, LED interior lighting, automatic evaporation, and air defrost. Self-closing and stay open doors with 8 adjustable shelves. Recessed door handles. Pre-installed castors and shelves. 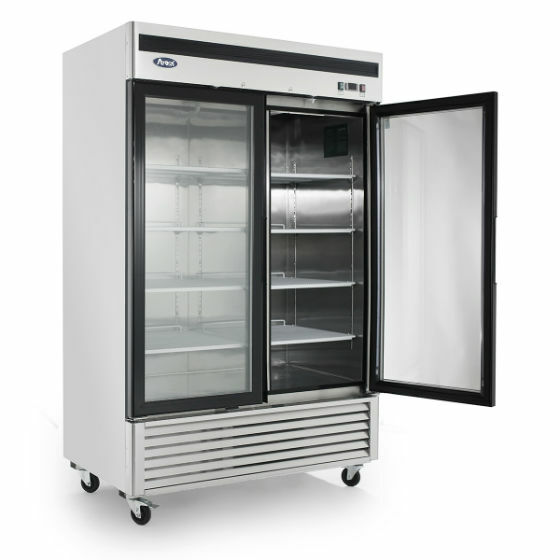 Self-contained, ventilated refrigeration, 33 to 45F temperature range. 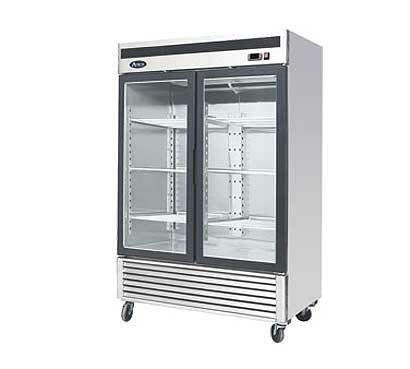 Stainless steel interior and exterior construction, galvanized steel back. Heavy duty Embraco compressor, bottom mounted. cETLus, ETL, CE, ENERGY STAR certified. 2 year parts and labor warranty, 5 year compressor warranty. A-TOS-A means beautiful body in Farsi, and the name pays tribute to this global company's dedication to manufacturing exceptional quality commercial kitchen equipment and researching and designing cutting-edge equipment that also adds beauty to any kitchen. Atosa is also dedicated to being green and healthy so you can feel good about the efficiency and environmental friendliness of your kitchen equipment.